LOVE THESE PRODUCTS! Thank-you so much! I\'m going to try the Tummy Saver Package next, Can\'t wait to try it! I have been taking the AM and PM formulas for a month. I have lost 7 inches already and am so tickled with my results! I\'m down an entire pant size in just one month! I even have Fibromyalgia and since I started taking the products my muscles feel so much better and my pain has decreased significantly! Thank-you for increasing my quality of life! I've lost 16 pounds with the AM and PM combo package! I'm very pleased with how easy this program is to follow. I just take my AM in the mornings and the PM at night and 8 weeks later I'm down 16 pounds!! 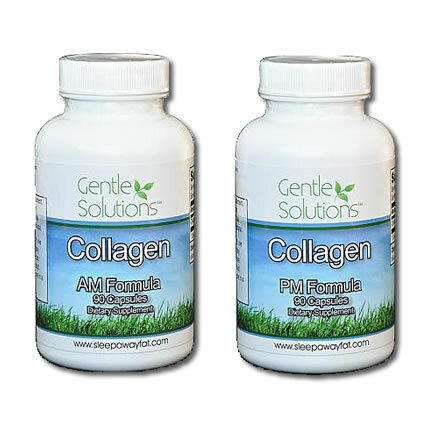 Taking Collagen AM/PM in the morning and evening is a constant reminder to stay on track and motivated about loosing weight.